At the end of the day, biometric data is really just another type of personal data that banks hold, access and use with the trust of customers and employees. But obtaining consent should not just be seen as merely a bureaucratic necessity. It is part of a process by which banks can maintain and enhance trust — which only becomes more important in the age of big data and virtual relationships. Darren Hodder, Director of Fraud Consulting told delegates at the SMi 2nd Annual Big Data in Retail Financial Services last week that the easiest way to solve online fraud is for banks to know exactly who their customer is, which could be achieved through biometric authentication. Hodder believes that we are currently in “authentication hell” and that the authentication processes used by biometrics such as facial, iris, finger print or vein recognition could help to reduce the risk of fraud and enhance customer experience by enabling banks to recognise exactly who their customers are. A Malaysian bank is keen to adopt Hitachi Asia Ltd’s finger vein authentication technology solution. Its senior vice-president/general manager ICT Solutions Business Regional, Mitsuhisa Kajiyoshi, said the new solution would enable the customers to easily access their online bank accounts and authorise payments within seconds, without the need for personal identification numbers, passwords or authentication codes. Fujitsu says its new PalmSecure ID Match device will make identity verification and card payments more secure by combining a chip and PIN system with its palm-vein scanning technology for multi-factor authentication. The unit is similar to current point of sale systems and comprises a multi-card reader, its PalmSecure sensor, a touchscreen and a processor board powered by an ARM chip. It really does seem that Japanese tech firms dominate in hand-vein biometrics. The lowest-hanging fruit would seem to be protecting customer information databases with biometric access control systems. Passwords, however complex aren’t enough protection against the huge data losses making the news lately. This article discusses account-level (rather than database level) security and which type of biometric might work best. “The adoption of biometrics is on an exponential curve and is largely as a result of the financial services and payments industry,” said Dunstone. The core uses of biometric data to date have been largely confined to government agencies such as passports and visa application processing as well as in policing but the technology is now starting to be adopted in consumer level devices. …as the article concludes, it’s not necessarily an either/or proposition. Online financial services providers are looking forward to a future where they are less reliant on password technology for authenticating their customers’ identities on line and they seem to have very open minds re biometrics. But can biometrics supplant the password altogether? However, he [ed. PayPal chief information security officer Michael Barrett] noted that passwords simply won’t go away after biometrics are introduced. It’ll certainly take a while before a new standard can completely take over, especially considering that passwords have been the standard for so many years. So while we could see smartphones with integrated fingerprint scanners, it could be a few years before a new security standard takes over full-time. Biometrics can be used to overcome some of the limitations of passwords in use cases important to PayPal. A biometric template is like a really long password your body makes — the example below uses 800 hexadecimal characters — in that sense biometrics allow for more complex passwords the user doesn’t have to remember or write down. Nevertheless (and in agreement with the quoted article’s concluding paragraphs), rather than making passwords obsolete, biometrics will most probably be used to return the the password to the simplicity of the PIN era, ending the arms race that has required the use of longer, more complex, and more frequently changing passwords. When properly integrated, it can remove the need to duplicate the authentication process. Voice is the ideal biometric modality for telephone call center ID. In the future, you’ll have all sorts of biometric security features that will protect your assets and your identity. All of them can both protect corporate assets and empower the individual. Finally, these same features could also exist inside your PC or even in different rooms within your home to give you a total security package. We’re not far from the day when ordinary folks will be able to defeat even the smartest hacker around, just by touching or looking into their phone’s screen. And it’s all because the world is going mobile. The article isn’t even mostly about biometrics, but as we readily acknowledge here all the time, biometrics are only ever a means to an end. What the article does provide is a coherent view of where future profits will come from for Apple and Google well supported with charts, graphs and other visual aids, which I love. 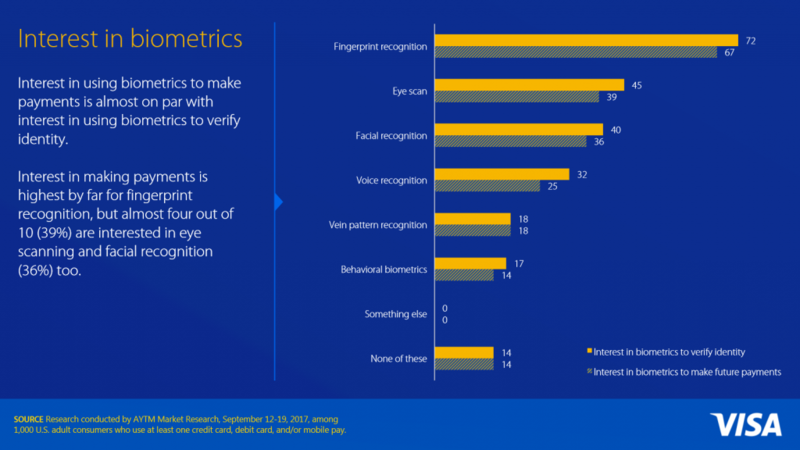 The key biometrics bit is here but the rest is very interesting as well. The most exciting thing I see on the horizon isn’t the ad sales that will almost certainly materialize, but the network effects of a billion Android users and the ways Google can leverage that scale. If one billion people are on the same mobile OS and you know where they are precisely and they have a biometric scanner on their phone, do you really need Mastercard and Visa to take their 3% to verify the funds and identity? That’s why Google is working on Google Wallet. If one billion people are constantly sharing their location by virtue of having their phone switched on, could you sell them stuff based on where they are? That’s why Google is working on Google Offers. And if one billion people care more about the device than the network and will pick the service based on who has the cool new Android phone, couldn’t you launch your own data service? That’s Google Fiber. This also seems to be of a piece with growing recognition among financial types that biometrics are going to have a role in how authentication works and add significant value to the process.